I love this article by Freshome.com that I found on BobVila.com on “10 Things Home Buyers Hate About Your Home.” If you hope to sell your home, you MUST fix these problems. Foul smells – You’ll turn off prospective homebuyers if you have any of these smells: pets, carpet, unpleasant food and cooking smells and musty basements. A dirty home – Keep your kitchen and bathrooms clean! A messy home – With potential buyers traipsing through your home unexpectedly, you need to be sure you keep your home tidy. Plan ahead to store clutter, toys, laundry, etc. when you’re not home. Poorly lit rooms – A bright room is much more attractive than a dark one. Add attractive lamps to be sure that your home is shown in the very best, well, light. Distracting walls and wallpaper – The person who buys your home is likely to have different tastes than yours. While you don’t have to remodel your home to put it up for sale, you want to make it as neutral as possible, so buyers can imagine themselves living there. Poorly maintained yard – We hear so much about curb appeal, because it is crucial to the sale of your home. Make your home more inviting by keeping your lawn cut, bushes and trees trimmed, and weeds out of the way. Wall-to-wall carpeting – Many homebuyers prefer hardwood floors to a home that is 100% carpeted. If it isn’t possible to remove your carpets, be sure they are professionally cleaned to remove any stains or smells. Ignored entryways – When a prospective homebuyer enters your home, the first thing she sees is the entryway. Make sure it is welcoming by adding a bouquet of flowers, a pretty mirror or some artwork that catches the eye. Your pets – Even if the potential homebuyer is an animal lover, they may not love your pets. In fact, they might be afraid of or allergic to them. Be sure to keep your pets outside or away from home when your real estate agent shows your home. 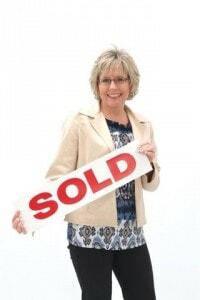 You – Purchasing someone else’s home is a very personal experience. The buyer wants to picture herself in the home – not you – so be sure to leave the home before a scheduled showing. Trust your Realtor – why, me, of course – to do the selling for you! To read the full article, visit BobVila.com.